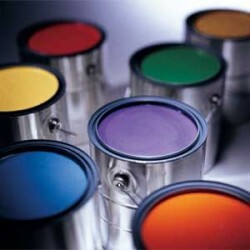 There are several things that make painting projects time consuming as well as costly. Most people think that they have enough of both to successfully do a paint job on their own. It makes a lot of difference when the people doing the paint job are those who do it for a living and have already had enough experience to handle the problems that may come along the process of doing this project. Whether painting on a new and bare wall, to repainting an already painted one, or painting furniture and fixture, there are certain steps which have to be followed. Failing to follow these may lead to the failure of the project and people may not achieve the final product they want. When painting a new wall, or a bare furniture or fixture for example, it is important to work on the surface first. Painting does not only mean applying paint directly, people have to do some pre painting steps such as sanding the surface and applying prime paint. These steps will ensure that the paint will stick easily and stay permanently on the surface, and also having a smooth finish. Repainting an already painted surface or a wall covered in wall paper can also be a tough challenge if not tougher. Other than making sure that the surface is ideal for applying fresh paint, people have to do more pre painting steps beginning with removing the wall papers or sanding the existing paint thoroughly. So if you are DIY person but painting is a new project for you then the best way to go about this project is to learn from the experts first. Painting may seem like a basic and simple project, but it takes commitment and some discipline to finish the project within the target time. With the way people are turning into workaholics nowadays, it would be quite doubtful that they can fully commit to this painting project without taking long breaks or leaving the project every once in a while to check on other things especially those related with work. When there are distractions then it would take a lot of time to finish, sometimes the lack of commitment may even cause people to not finish their project. These reasons will definitely explain why people ought to hire painting services for their painting projects instead. People who render painting service are already experienced and they can handle these projects with ease. Some people may think that hiring these professionals may be costly but if you think of it, hiring these people who can get the work done properly once will save them money and time compared to ignoring the painting services, doing it themselves and then repeating the project for getting it wrong every time. Painting services are not impractical. There is definitely nothing wrong with doing it yourself, but thinking of other factors involved such as time and dealing with chemicals may make you think twice to deal with this project yourself especially without enough experience.